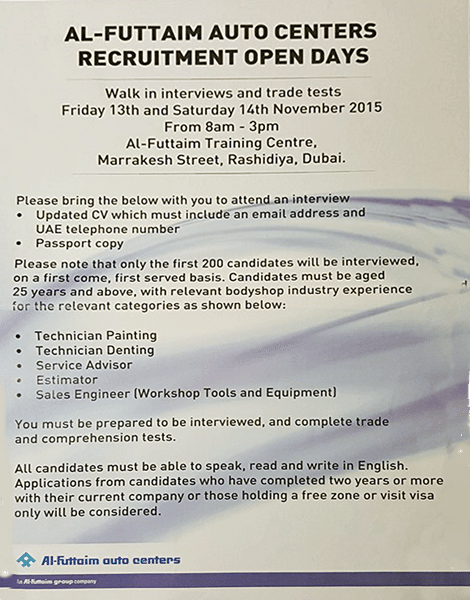 They will be conducting a series of walk in interviews and trade tests for the first 200 applicants on a first come, first served basis. Only candidates with 2 years or more with current company or those holding freezone or visit visa are to be considered. *You must be prepared to be interviewed and complete trade an comprehension exams. Please make sure you meet the qualifications before going to the said event. Good luck in applying everyone!